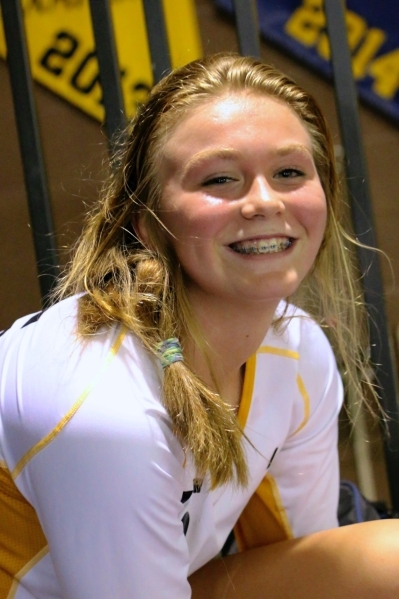 Following a Division I-A All-State selection, Boulder City sophomore outside hitter Maggie Roe has been acknowledged as one of the countries brightest underclassman by the American Volleyball Coaches Association, earning an invitation to its heralded Phenom College Preparatory Program. Roe will head to Omaha, Neb., on Dec. 17-20 and will get an opportunity to showcase her talents in front of the 100-plus college coaches in attendance. It is an invitation-only event for uncommitted seniors on the Under Armour Watch List and underclassmen on the AVCA Phenom List. Roe will participate in volleyball performance index testing and an athlete behavioral profile assessment, as well as gain the opportunity to soak up knowledge from AVCA collegiate All-Americans regarding college athletics. She also will get a first-hand look at what it takes to be a Division I athlete while in attendance for the NCAA women’s volleyball Division I semifinal matches and championship game, as well as the Under Armour All-America High School Volleyball game. Roe led the team with 337 kills this season while tallying 259 digs, 92 aces and 41 blocks.